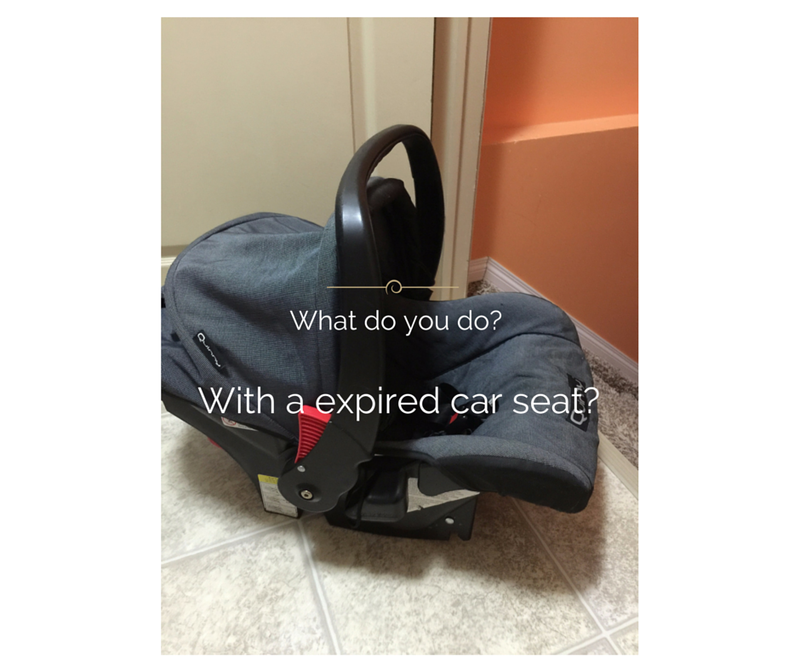 What do you do with an expired car seat? What do you do with a gently used car seat? I must admit this topic initially had me stumped. I went digging because we have a seat that has expired and is collecting dust in our basement. What was I going to do with it now? I’d never heard of anyone recycling a child’s car seat before. Have you? And after a few inquiries I now understand why. It’s near impossible. The City of Edmonton’s Waste management ” informed me that child seats aren’t recyclable because they contain too many types of materials — plastic, metal and cloth. They suggested I remove the fabric off the seat and all of the hardware and toss it in the trash Or, I could just cut the straps and leave it on the curb. So Why do car seats have an expiry date? second or subsequent owners may not get product safety recall notices if problems arise. What can you do with a gently used car seat? You can ditch it, donate or, sell it, re-used it or recycle it. Why shouldn’t you just toss it in the trash? The reason is that some people will snap up a car seat left by the curb for trash pickup, even if it’s in a plastic bag with a “Do Not Use” note on it. Plus now it’s super easy to get replacement pieces straight from the manufacture so all those straps can be replaced. I would shy away from trying to sell the seat only because I would never purchase a car seat second hand. How would you know the history of the seat? Was it involved in an accident? Would I be able to get the vital information if the seat was ever in a recall? We re-used our infant seat three times! Trying to find a place to recycle your seat can be tricky. However, one lead uncovered a recycler in Alberta called wee help foundation. 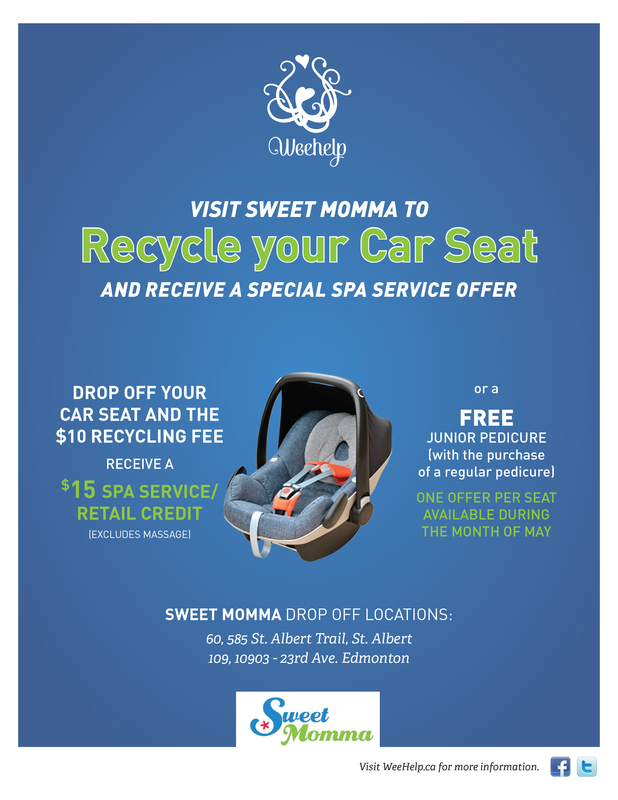 They have partnered with Sweet Momma and are accepts expired car seats for a $10.00 fee and as an added bonus they throw in a $15.00 gift card towards a spa service. All seats collected are handed into the wee help foundation where they are stripped and recycled. Our baby gear store has a day each year when you can return the old one and get a discount on a new one! SO much to know about car seats out there! I never knew car seats expired. I guess that is because there is such a big age gap between my kids, there was never any chance I would reuse my car seats. They were in great condition though, so I did give them away. We put ours inside the trash can so no one can see it and take it. I agree people pick them up along the side of the road. I usually just dump it. I would never sell a used car seat or even one that’s expired. I’ve taken mine out on trash day and they’ve picked it up. We couldn’t even do that here… people will go thru your trash and take whatever treasure they find and keep it. Plus it’s a liability issue here too so one can never be too safe. I have donated ours to family/friends in need, but only because I was the only one that used it and I knew the history 100%. That sounds like an awesome program. I don’t know of anyplace here that takes used car seats because of liability. I dont have human kids so I had no clue an expired car seat was an issue – thanks for educating me with options. This is really good information! 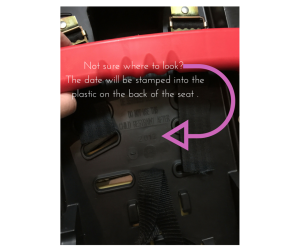 I have always wondered why throwing out or using an old car seat was such a no-no. Now I get it! Adding a note that says “do not use” is a good idea. Some people don’t realize that they expire. I never knew this. Nice you found a place to take it. Oh my goodness, I never thought of this. My kids are all still in their seats, but this is great info to have for when they are done. Thanks for sharing. The Wee Help foundation sounds like a great option. I’ll have to remember the “Do Not Use” advice too. I wouldn’t want someone using a worn out seat. I had no idea that car seats had an expiration date. Thanks for raising awareness! That’s a lot to think about for sure. I wouldn’t know what to do with ours! We still very much use ours because we have those ones that grow with the kid. I am big about this. With 5 kids I have gone through many of car seats. Technology changes and I would rather be safe. I thought you could not do anything with it except maybe give it a neighbor/friend for an emergency extra. This is too important an issue to ignore. I’m a big time second hand shopper, but am super careful with second hand baby products. I never knew a car seat could expire. I donated my son’s to our local church. Great to know. We usually toss it. We get great use out of ours and I just don’t feel safe passing them on so we toss. I hate that they expire. But I do understand now why they do. I didn’t know a car seat could expire. We gave my brother our car seats when we were done with them. I passed on my oldest car seat to a friend but that was over 20 years ago. Babies R Us takes them and will give you store credit for them, so that is where I took mine. I am going to have to double check to see if the Canadian stores will take them. We just dropped ours off at sweet momma and to be totally honest with you it was a little bitter sweet. Apparently they are going to be excepting car seats indefinitely which is awesome!